Please start buying tickets to this new theatre festival and sup port a play I’m directing called “Mandragora” by David Sharpe, which will be performed from Tuesday 26th – Saturday 30th January, 2010 at the Herald Theatre, The Edge, Auckland. Tickets are only $25 and available from www.the-edge.co.nz or 0800 BUY TICKETS. 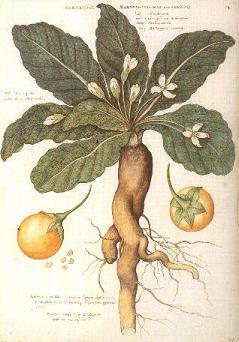 To your right is what a mandragora or mandrake plant looks like.